Cassie, is a fitness instructor who helps women break free from the fads and frustrations so that they can lift their way to a STRONG rockin bod! She is a army veteran, strength coach who has been featured in Self, Shape, Oxygen and Men's Health magazines to name a few! In this episode you will learn how to achieve above average results in your health and in your business! Connect with Cassie here: Free just for Thrive Radio Listeners: Get 6 Step Blueprint to Lift with Confidence and Stress Less Around Food [Free] Private FB Group: "The Lady Lifting Community" Instagram Page: https://www.instagram.com/cassielynnlift/Website cassielynnlambert.com If you struggle to get into shape, struggle with weight loss and don't want to go to the gym and exercise in front of everyone now you can get in shape from home! Richard Rieman is an Audible Approved Audiobook narrator, audiobook producer, professionally trained Voice Actor, and author of “The Author’s Guide to AudioBook Creation and he is the founder of Audiobook Revolution. In this episode you will hear about how Richard became an audio book voice over as well as: What you need to know about recording an audio bookWhat equipment you might need and your optionsHow to hire someone to do your audio book for youThe most popular ways for producing audio books Connect with Richard Rieman here: Audiobook and narration and creation services at https://audiobookrevolution.com/Online course and audiobook creation at: https://audiobookmasterclass.comFind him on Facebook! Get a copy of his book "The Author's Guide to Audiobook Creation" If you are wanting to publish a book or if you have thought about creating your own audio book you will appreciate this episode. RIchard's story of redefining himself and creating a new business and career when his old was no longer an option is inspiring. Richard Tyler is the Chief Possibility Architect of BTFI Ltd, Bestselling Author, International Speaker, Coach and Provocateur. He has spent decades playing lead roles in West End Theatre like Phantom of the Opera & lays miss la ab la he sees human potential through the creative lens of performance. His mission is to enable everyone to be ‘Happy Humans Beings’, living their life ON Purpose. Through disrupting the personal development industry and provoking the way that people think, his passion to get YOU out of your own way, so you can live a limitless life and create a positive impact footprint on the planet. Richard's Free Facebool Group www.facebook.com/groups/BTFIgroup Check out his Limitless program www.btfilimitless.com THE LIMITLESS PROGRAMME Are you stuck? Lacking in confidence, procrastinating all over the shop & feeling frustrated that you could BE so much more? Then let me unlock your limiting beliefs & transform your thinking into action. Test out my hypnotherapy, accountability, online course & awesome tribe of game changers in my LIMITLESS programme. Register for your 1 MONTH FREE TRIAL (no subscription/contract) here using the promo code ‘VIPACTION’ www.btfilimitless.com Come and check us out, access the resources and you can leave if it doesn’t blow your mind - what have you got to lose?!? You can be the most successful person in the world, you could have everything "they say" you should have but feel like something is missing, be unhappy and restless. In this episode I discuss why this happens and how you can create a life of fulfillment that avoids it. Maybe it's time to take a fresh look at your life and where it is going and adjust your sails for greater fulfillment. Have you ever heard the term "emotional intelligence"? In this episode I describe exactly what emotional intelligence is and how you can and should use it to be successful in whatever you do. Plus I include some ideas around tools you might use to grow your impact. Visit aimeemontgomery.com for more tools around how to determine a person's personality type by looking at their linkedin profile. Combine all your passions or choose just one for your business? So many struggle with which passion to go after in life when establishing a business. Sometimes it feels as if they are committing to a life sentence of only one topic but the truth is that the more focused we are the more successful we become. This episode I take you through the process of reclaiming your true identity by sharing a story about a woman who had surpressed her vulnerability and was losing out on benefits of being feminine. This process is taken from Tony Robbins lessons in mastery and is the process of identifying key decisions made as a child or a young adult that can shape our destiny. I discuss a lot about masculine and feminine energy in this podcast and it is important to note that I am not talking about gender. All genders must have both masculine and feminine energy in our lives to be healthy and to interact with each other. It is when we try to surpress one energy out of survival mode that it can become an issue. I also discuss how a decision made at a young age can cause us to fuel our human needs with fear instead of love. When this happens our view of others becomes negative, we think they are taking our needs from us and we often find ourselves in conflict. If you have ever felt like you lost who you are, your identity due to experiencing overwhelming loss this podcast is for you. I cover seven steps to creating a compelling future and talk about how you can meet the needs you have today. Have you ever wanted or needed something but didn't know how to ask for it? In this week's episode I give you five steps in asking intelligently, learn how to get whatever you want! This teaching is taken from Unllimited Power by Tony Robbins. In this episode I provide you with a four step life changing process that will allow you to eliminate desires for things you want out of your life and also intentionally increase your desire for things you want more of in your life. Shift your average experiences into amazing experiences instantly and break the habit of eating the wrong foods instantly! Have you ever suffered with depression? Wonder if you will ever be happy? Maybe you are busy going after your dreams but find yourself unsatisfied and so much so it disrupts your daily happiness. Well in this episode I talk about how gratefulness practiced daily can produce not just happiness but also balance, appreciate what matters, removes anxiety and promotes inspiration, eliminates depression, promotes better decision making, increased performance in your work, greater success and perseverance. If you want something in life you just need to find someone who has what you want and do what they did to get it. In the same way, if you have an obstacle in your life, find someone who experienced the same issue and found a way around it. Then you just do what they did! Sometimes the biggest obstacle really is yourself! Are you standing in your own way? Find out how you may be sabatoging your own success and how to overcome in today's podcast. If you are a service professional you want to stop trading your time for money and start producing product that will provide passive income for you while building your credibility. In this episode I walk you through the process of developing your first product, what key things you need to consider and why it is important. Take your business to the next level and learn how to make money even while you sleep. Have you ever found yourself in a situation where you emotions have the best of you? Have you ever reacted emotionally and ruined a good opportunity? In this episode I talk about how to harness those emotions so that they no longer control your destiny. 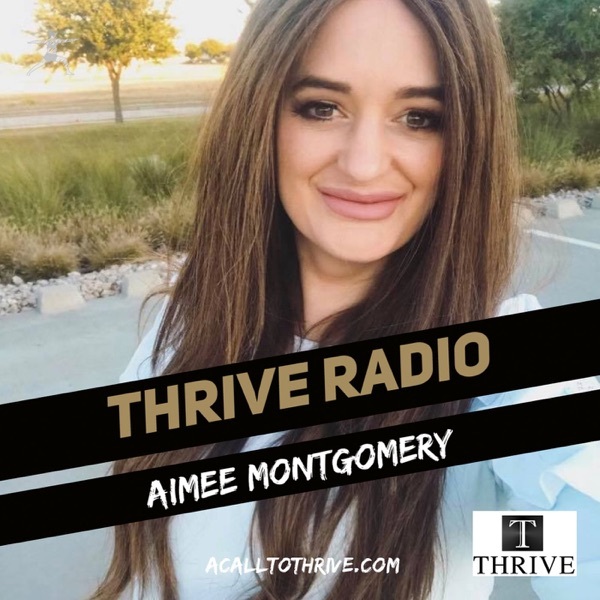 In this Episode Aimee talks about how to find your gift and why passion sometimes dies out. If you want to make sure you are headed in the right direction in your life and truly fulfilling your purpose this episode is for you. In this episode I break down what it means to hustle. We hear that so many times from motivational speakers but what does it really come down to when we are trying to succeed.